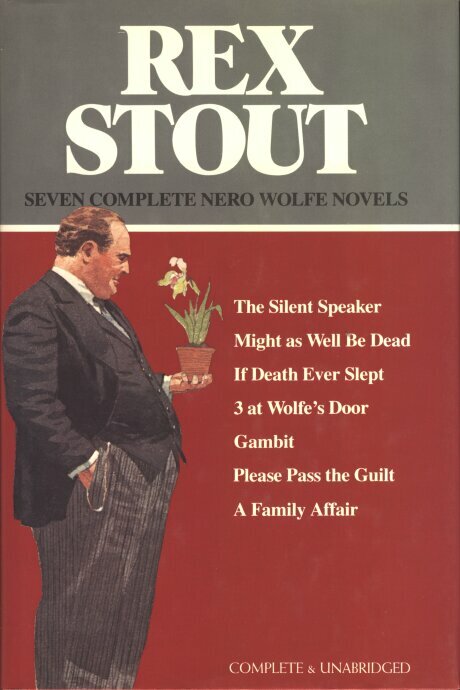 Happiness is a Nero Wolfe mystery for so many aficionados of civilized crime stories that the Omnibus has become a valued tradition; there have been five before this, each gathering a few previously published Rex Stouts in one volume. 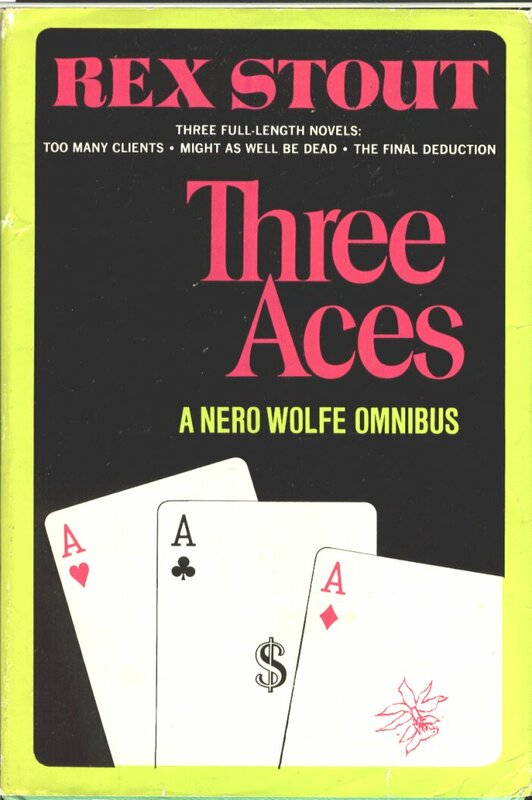 Three Aces is the first to include three complete full-length novels, and will prove a treat as special as a dish from the kitchen of Nero’s unique cook, Fritz. 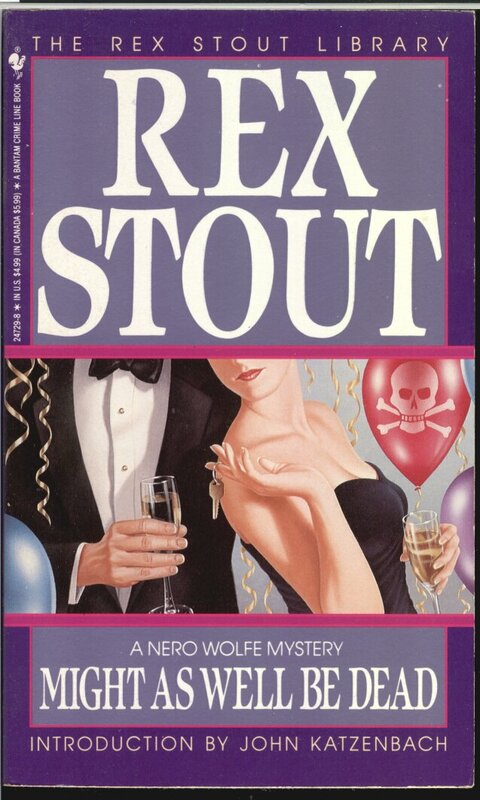 In Too Many Clients, three different clients clamor for Nero’s help when a big businessman is murdered in his $81,000 love nest. 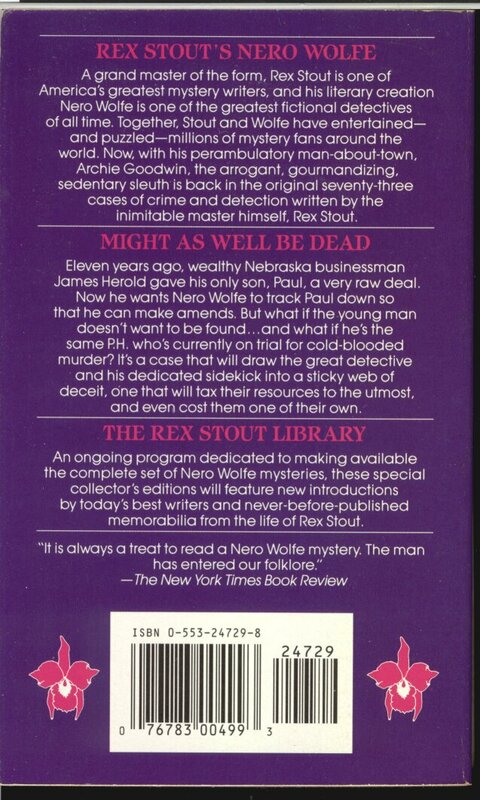 Archie Goodwin must use some of his best talents to sort them out before Nero can even begin the case. 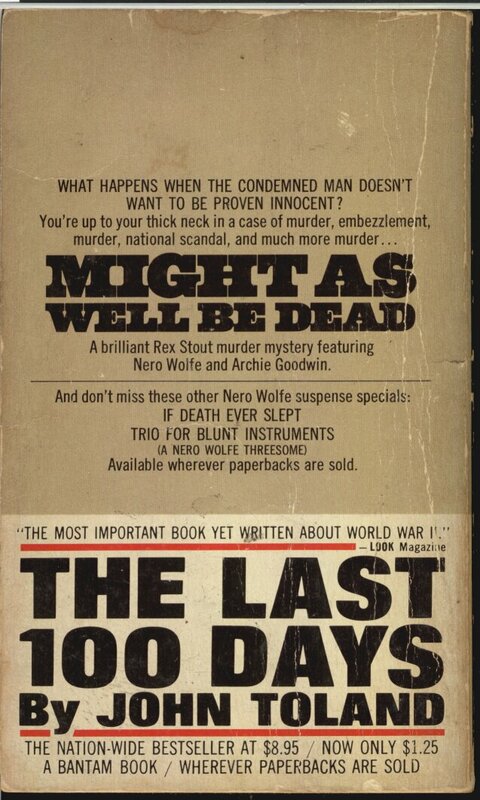 Might as Well Be Dead involves, along with much mayhem and imperiled missing persons, a great national scandal. 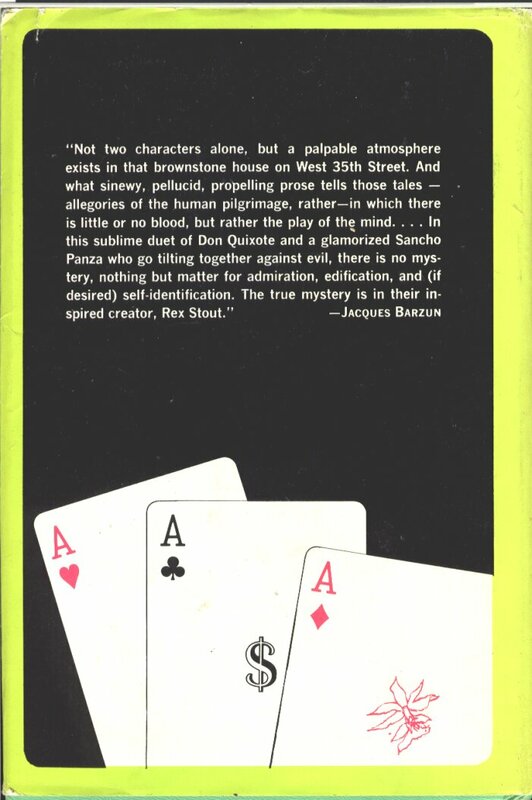 The Final Deduction puts Nero and Archie in the saddle in pursuit of a kidnap for half a million dollars, with murder on the side. The team is in top form in all three of these, a prize for any fan who missed them before or who wants them on hand in one handsome superStout volume. WHAT HAPPENS WHEN THE CONDEMNED MAN DOESN’T WANT TO BE PROVEN INNOCENT? Eleven years ago, wealthy Nebraska businessman James Herold gave his only son, Paul, a very raw deal. 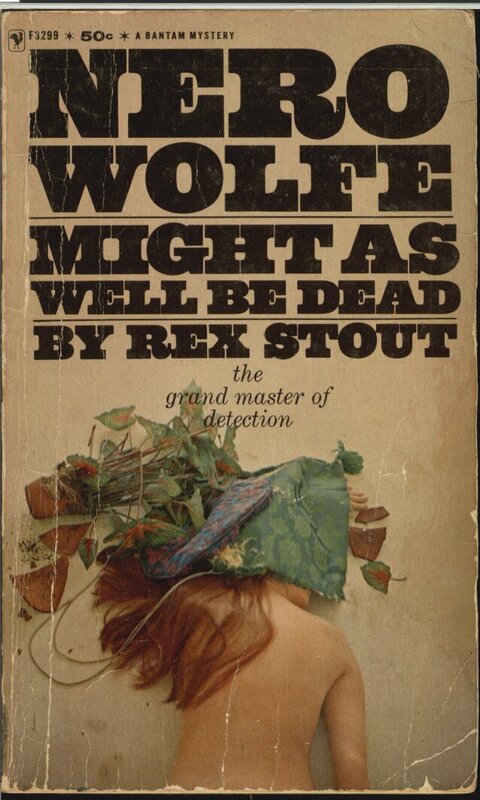 Now he wants Nero Wolfe to track Paul down so that he can make amends. But what if the young man doesn’t want to be found… and what if he’s the same P.H. who’s currently on trial for cold-blooded murder? It’s a case that will draw the great detective and his dedicated sidekick into a sticky wave of deceit, one that will tax their resources to the utmost, and even cost them one of their own.